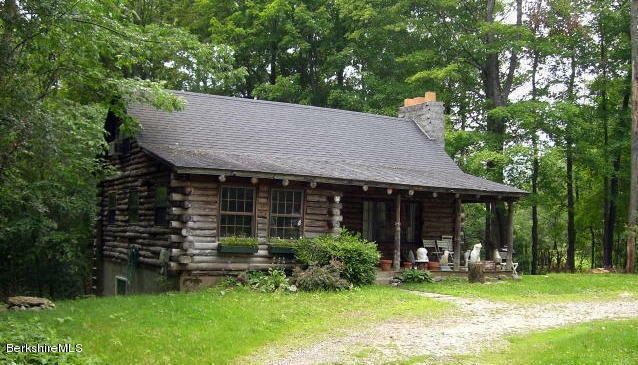 A rustic two bedroom plus sleeping loft log cabin residence on 2+ acres on a paved town road in Interlaken, Stockbridge with no through traffic. Full walk-out heated lower level with a slate floor. Close to Tanglewood and walking distance to IS183 and Stockbridge Bowl. Recent new roof, new 20 gpm well and pump. Town sewer connection and rebuilt chimney.